No one warned me it was Friday the 13th. I figured it out soon enough though. On Wednesday, I was at the day care for therapy during lunch. While I was holding Landon, he made an odd movement…followed by another…followed by another. He was having a seizure. It was different than his normal right arm pump. This was more of a crunch forward with both arms and legs. The therapist began video taping, and we ended up with nearly 7 minutes of Landon seizing. He remained calm throughout, so the rest of us pretended to do the same. But we knew this was not good. I called our pediatrician so I could show him the video and ensure Landon’s vital signs were as strong as they appeared. I also called our neurology team to let them know. Fast forward to this morning. After viewing the video, our neurologist feels it was an infantile spasm. 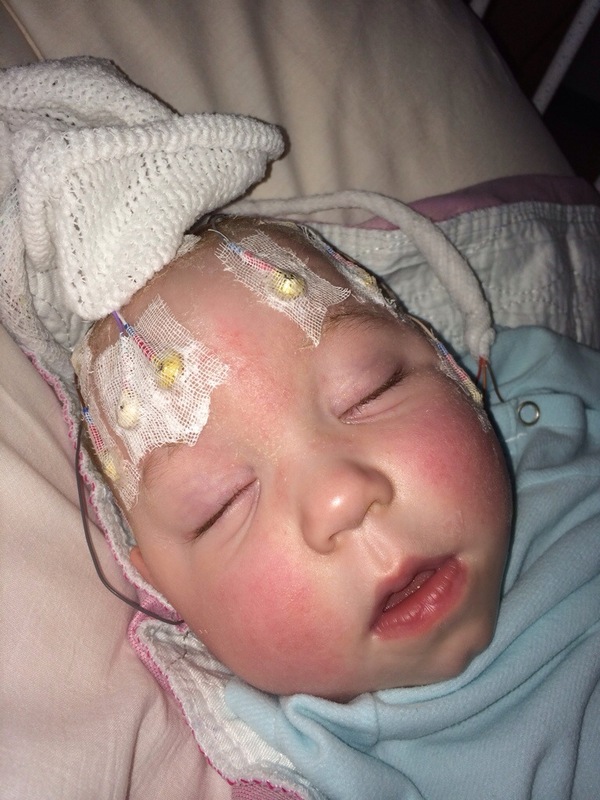 Landon needs to be observed on EEG. We will take him to be admitted Monday morning, and spend some time in the hospital next week. This next phase has always been likely, but I was no more prepared. Or less shattered. I cried at my desk and tried not to hand over my mental state to the luck of a Google search. I didn’t need to research anyway. I already knew this was bad. I left at lunch to get some fresh air and hide my red eyes behind sunglasses. I was running an errand when Landon’s day care teacher called. When I saw her name pop up as a call rather than a text, I already knew what was wrong. It happened again. 9 minutes this time. I called Children’s immediately, and we had the same conclusion. We couldn’t wait until Monday. She began working on an accelerated admission. I began a failed attempt at keeping myself together. I gathered work things, packed overnight things, set Nolan’s meds out for J, and picked Landon up from day care. We were on our way. When we arrived, things moved quickly. The neurologist described the video as a textbook infantile spasm. The only nugget of good news in there is we no longer have to stick around until they can observe him having one. “I’ve already observed Landon having an infantile spasm. There is zero doubt”. We discussed Sabril as a next treatment step and agreed it was the right next move. He took his first dose this evening. 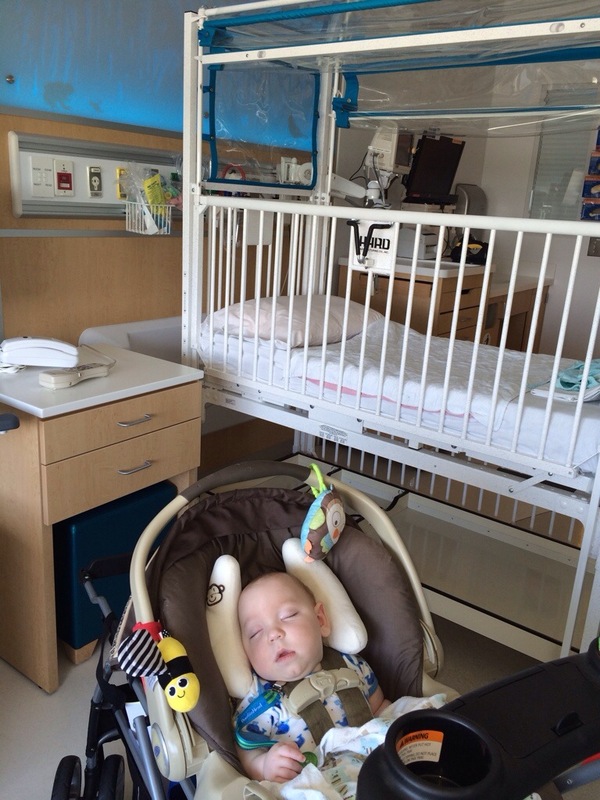 Landon will have an EEG overnight so they can establish a baseline. As long as they get good readings and he doesn’t react adversely to Sabril, we might be able to return home as soon as tomorrow. Meanwhile, the Sabril can take several days to reach full effect. Which means we could see spasm activity in the interim. This neurologist specializes in infantile spasms and was very hopeful. 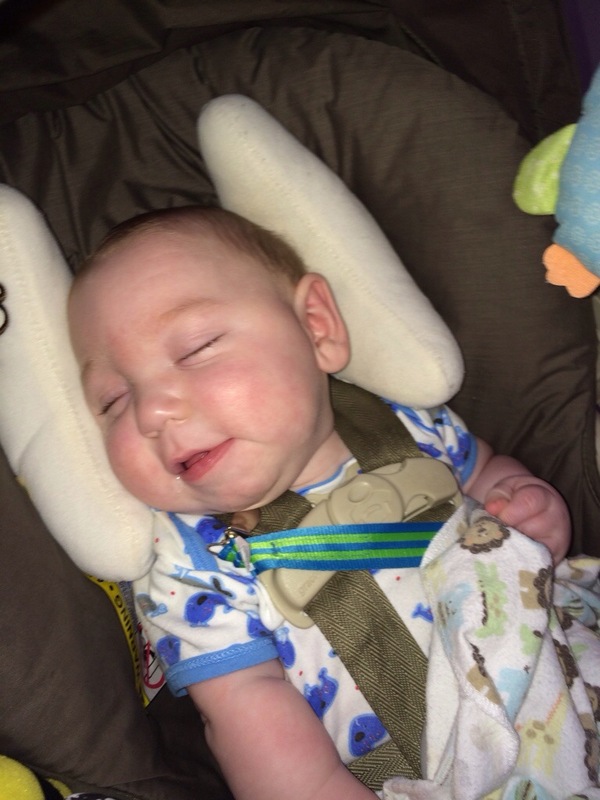 He has been added to our team, and Landon will see him frequently over the coming weeks. I liked him. As I type Landon is resting well despite the mess of cords. I have yet to hit my “seizure” button. Mima is helping J with K and Nolan. Papaw and Nana are visiting Landon and me tomorrow. And today, as always, we are taking it one day at a time. Emma…I often write about it because I need to. It is my therapy. I am thankful so many care but I believe this blog would be very similar even if no one was reading it. Thankfully though, my “family diary” has become a way to share these precious boys. God, please bless this child. My heart and prayers are with you and family, please know all of Hampshire Co.is sending prayers. God is good. Sorry to hear of this turn of events. Continuing to pray! Melanie, I think of you all often and pray for you. Kevin passes our house to pick up his children at Denise’s and I always think of you when he goes by. Keeping you and your family in my prayers daily. I hate to hear this. Like you say…one day at a time! Continued prayers for healing and comfort. Melody our hearts break for you all. Continued prayers for healing, comfort and strength for whatever come what may. God’s continued blessings to you all !